This beautiful home belongs to Danish designer Nina Kejser and her Italian husband Mario Ladanza. The house is located in the small town of Charlottenlund, just north of Copenhagen (Denmark). The apartment is decorated in a typical Scandinavian style: lots of white (to let as much light in as possible) and wooden floors. The room are airy and bright with modern furniture. I am loving those pillows (image above). 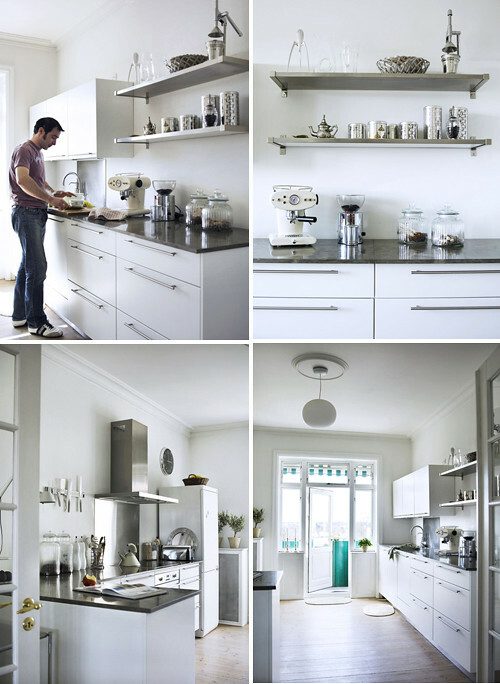 The stylish white kitchen (images above) is clean lined and has a black natural stone top. The cosy bedroom (image above). 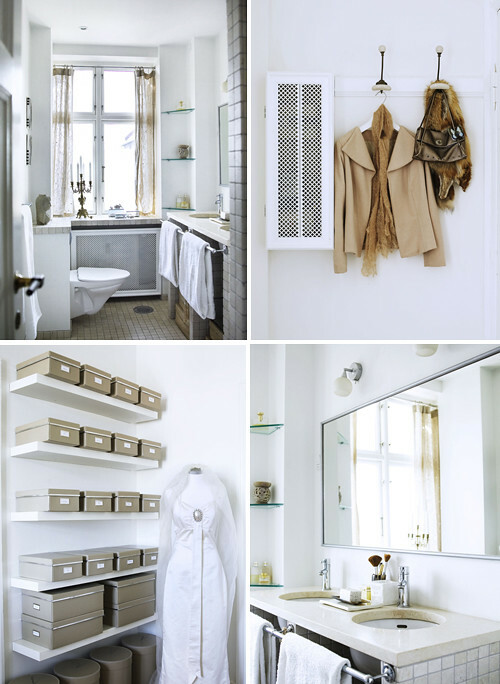 WOW – now that’s my style – MODERN mixed with a lil vintage .. clean and sleek! Love love love this! Every pic is divine – thanks for sharing this gorgeous stylish home. I would like ot move in tomorrow.